I was one of the few (if not the only one) "back packers", "hip hop heads" or any of the other names that cats call folk like me who love "real hip hop" who weren't up on Roc Marciano's "Marcberg" album that dropped a minute ago. I heard about it here and there and even saw the great Questlove co sign the album but none of that was enough to sway me to check it out. It wasn't nuthin’ personal against Roc cause I messed with dude when he was rocking with the U.N. it just wan't enough people in my circle telling me about dude. In fact...nobody was telling me about dude. I kept seeing the hype from the usual hip hop blogs and since I never believe those cats when they're hyping somebody up, I passed on checking it out. But from the time his first album dropped to now, I've peeped Roc checking in with verses here and there and I can't front, dude is nice. 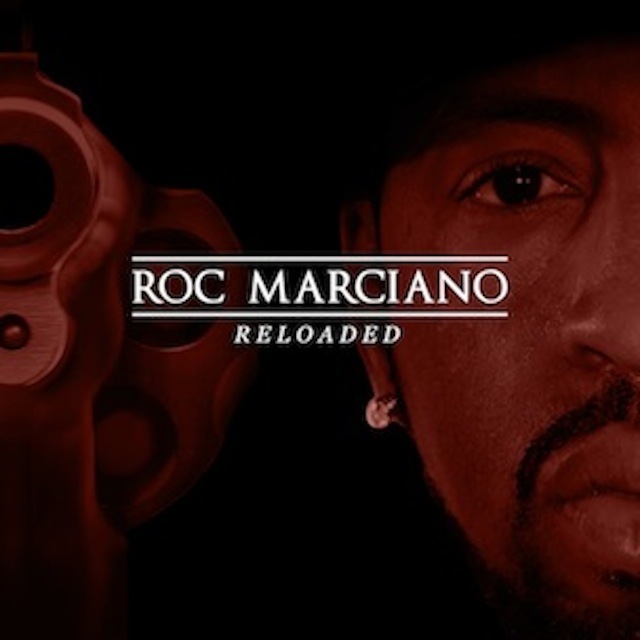 So with his second album "Reloaded" on tap, I'm not gonna miss the boat on Roc Marciano twice so you best believe I'm checking in with this one. The intro alone is worth the price of admissions with a chick explaining “but them n-ggaz, who went to prison and you see them out here saying this, that and the third. They know who they are. They those homo thugs. I call them f-cking homo thugs. I don’t got no respect for them, cause you don’t tell…the game ain’t to be told.” And when Roc comes in with his verse , “learned life lessons, late night fighting leopards, polo down like Tyson Beckford/flow is nice, the blow is right like Robert Redford, but 'lil homie this is just textbook/flesh is cooked, bust my guns like them kids in Redhook, keep it jumping like Russell Westbrook” helps to just certify this banger! My only beef with “Reloaded” is that 80% of the album is just loops. Now don’t get it twisted, I’m definitely from the school of if you find a dope loop just let it rock but maybe for an EP (see Fanat’s “Renaissance Musician” EP) but I can’t front, with 13 loops I would’ve loved to hear Roc go in over some REAL boom bap beats. Even the beats Alchemist and Q Tip laced Roc with were just loops! When I hear both of those dude’s names one of the first thing that comes to mind are drums, so like I said I can’t front that I’m a ‘lil disappointed on the beat tip. The best way that I can explain "Reloaded" to folks is that it's simple the PERFECT soundtrack for the winter. Yup...you heard me right. I know a lot of ya'll are all hypnotized by Jay always talking about holding it down for 100 straight summers but don't forget we have other seasons too. And the same way you listen to certain songs and they have a summertime feel to them, there are certain songs you listen to that have a wintertime feel to it. And that's basically where the entire "Reloaded" fits in. Cause if you're a "back packer", "hip hop head" or whatever cats call folk like me who love real hip hop, you can best believe this will mos def be your soundtrack for the ENTIRE winter.